Let's put the best news first. Seven Seas Entertainment has announced the license acquisition of the two Perfect Blue novels by Yoshikazu Takeuchi, the first of which was the inspiration for Satoshi Kon’s animated film masterpiece. Perfect Blue: Metamorphosis will be released on December 12, 2017 for $14.99 USA / $16.99 CAN and Perfect Blue: Awaken from a Dream will be released on April 24, 2018 for $14.99 USA / $16.99 CAN. 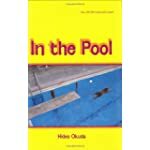 There's a few other anime derived from novels where I'd like to see the source material published in English. The Eccentric Family and The Tatami Galaxy were both drawn from novels by Tomihiko Morimi, and I would love to see what the original material looked like. Doubly so for Galaxy; I hope its on-paper incarnation was at least as trippy as what ended up on screen. 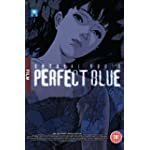 Finally, I'm hoping this will spur an interest in having Perfect Blue itself properly reissued, as the current video version in the U.S. is in wretched shape. A very nice U.K. Blu-ray does exist, but it's only available as an import, and not always at a cost most of us can afford. The larger question of whether a creative and visionary filmmaker, of anime or otherwise, is going to have his whole body work made properly available to a Western audience remains unanswered. 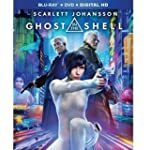 Ghost In The Shell (2017) may lose as much as $60 million at the box office. That number is a dart thrown at a wall, in big part because movie budgets are notoriously opaque — the movie itself was said to cost north of $100 million, and the marketing budget for it was easily that much and then some. There is no scenario where the movie can be described as a financial success. I'm on the fence as to how many nails the casting controversy drove into the film's coffin. It didn't help, that's for sure, but I'm inclined to think the movie's commercial fizzle was chiefly due to how mainstream audiences are generally indifferent to this kind of material. The Matrix was a happy fluke, but that was pitched mainly as an action spectacle; the most enduring things about the movie, such as its subversive messaging, was slipped in under the door as a bonus. One place the movie is doing decently well is — gasp — Japan, even though its take there isn't likely to even pay back the movie's catering budget. Hideo Kojima has penned an essay in praise of the film, but it's unwise to point to such things as a way of saying any dismay about the casting was ill-founded. It just tells me that Japan and the U.S. are fated to approach the movie from virtually irreconcilable perspectives, and trying to use one to explain or interpret the other is misleading. Given enough time, Western audiences might circle back and rehabilitate the movie. There are many individual good things in the film, and on a basic functional level it holds together far better than the likes of Dragonball Evolution. But my own interpretations aside, I'm not holding my breath for this project to be exonerated. The movie still has a long, long, long way to go before making a dent in the grosses created by Pokémon: The First Movie. Said flick raked in a stupefying $85 million in 1999 (that's $145 million in today's clams). Then again, it also opened in 3,043 theaters, as opposed to your name. 's 290. And even my mother knows what a Pokémon is. meta: Live-Action meta: Live-Action Anime people: Makoto Shinkai people: Satoshi Kon people: Seven Seas Entertainment title: Ghost in the Shell title: Perfect Blue title: your name.